Lufthansa has finally opened a new campaign with vouchers in the value of 20 EUR for flights originating from Germany that have to be booked until October 10th, 2018 (flown by March 31th 2019). The voucher can be used for bookings made between Sep 24th and Oct 10th 2018 but are issued immediately upon requesting them (one per email address). If you are planning to complete some bookings for this fall/winter it might be worthwhile to request one (or more) of the 20 EUR vouchers which will be applied to the base fare only. The voucher can be used for flights between 28/09/2018 until 31/03/2019. 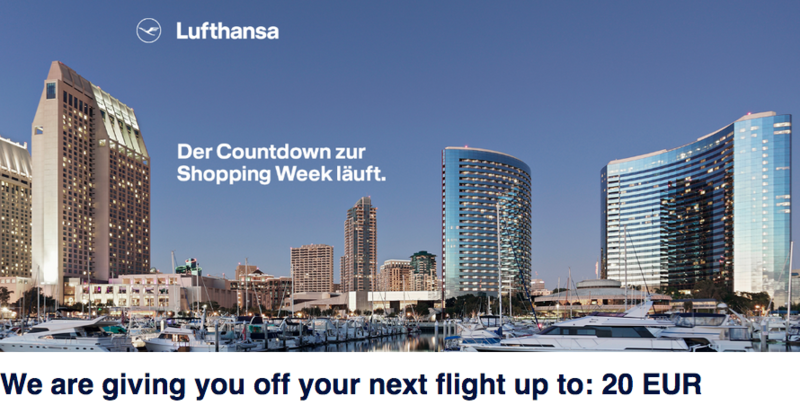 Lufthansa runs these promotions frequently and it depends on the individual campaign if they are good for worldwide use or specific points of origin. This one is valid for departures ex Germany only and for worldwide destinations. You can access the Lufthansa promotional website here to request your code. 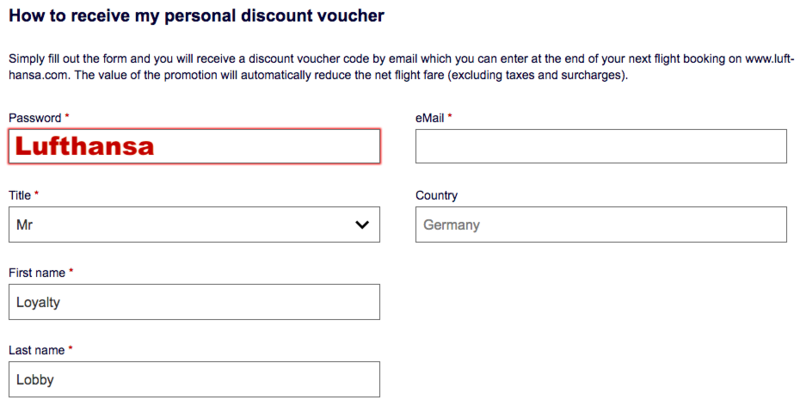 The landing page does require a password for the voucher request this time around, you just enter “Lufthansa” in the designated field in order to receive the discount code via email. The voucher can be redeemed between 24/09/2018 and 10/10/2018. Travel must be between 28/09/2018 and 31/03/2019. The voucher is only valid for flights departing in Germany and can only be redeemed at www.lufthansa.com. Keep in mind that some of the very cheap fares within Germany and Europe have a very low base fare of sometimes just a few Euro, the rest being taxes and fees. Since the voucher can only be applied to the base fare it might be that you can’t profit from the entire 20 EUR value. In any case it can be good to order one or two of these vouchers to save a little on trips that are to be booked during the promotional period.